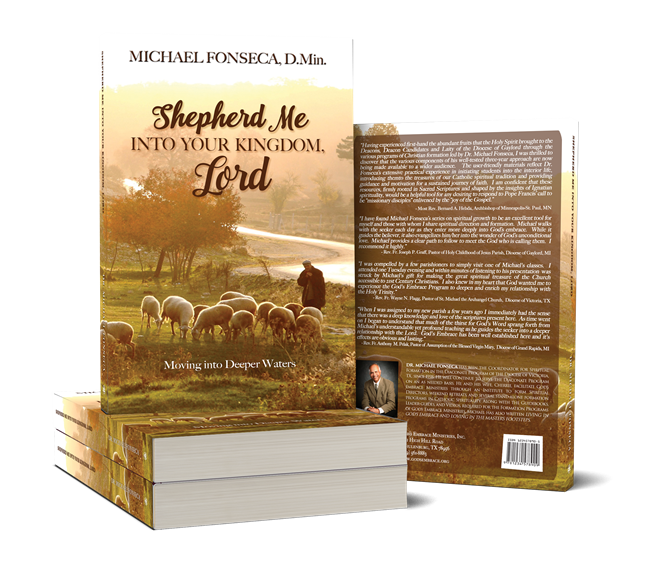 Shepherd me into your Kingdom, Lord continues the journey you began in Lead me into the Deep, Lord, and beckons you into deeper waters. God’s Trinitarian love for us. We follow the same format as Lead me into the Deep, Lord. We attempt to help you continue to develop a consistent practice of daily prayer through a trusting face-to-face encounter with our Lord. You will use all that you learned about the practice of prayer in Lead me into the Deep, Lord, like different Methods of Prayer, the Discernment of Spirits, and the Examination of Conscience. Under the guidance of the Holy Spirit, you will continue to have the opportunity to develop your own internal authority about your life of covenant union with God. © Copyright 20165 God's Embrace Ministries, Inc.. All Rights Reserved.